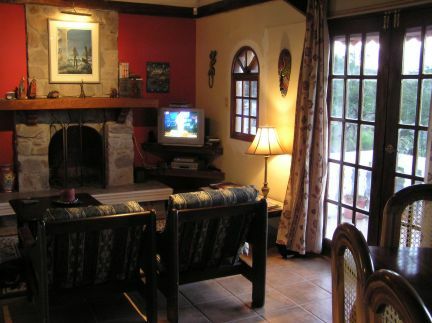 Casa Volcan, private country guest house. 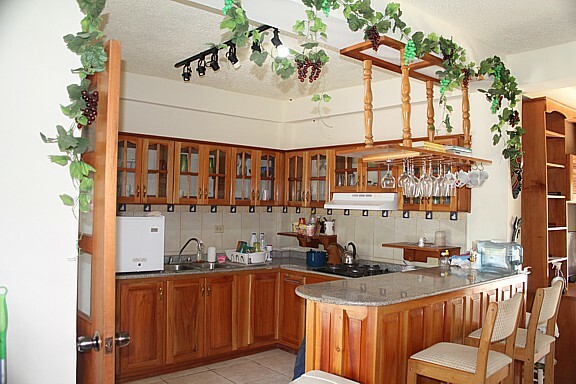 This completely remodeled 2,000 square foot country house is ideally located at the entrance to Volcan. 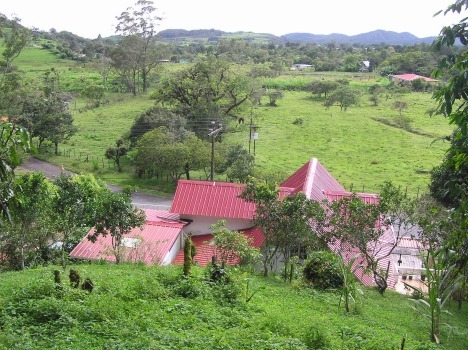 It has views across the meadowsand into town of Volcan. In May of 2,000 it has opened as a private guest house. New owners Maria and Pedro welcome guests to this little piece of Panama. Guest rates are $45.00 per night plus 7% Tax. 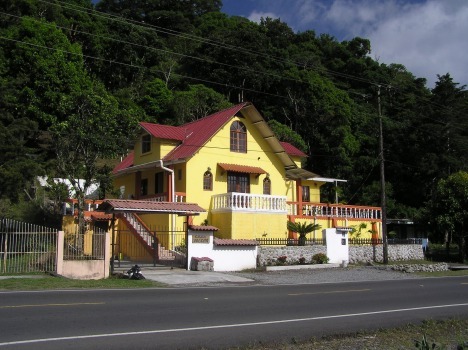 If you are a visitor to Panama you are looking for more than a clean, confortable and affordable place to stay - if you are planning to retire here you need information - lots of it.Maria and Pedro can provide that in fluent English. Everything from advice on buying property, to renting a car or even for a place to eat. 3 bedrooms with en suite bathrooms, plus guest powder room.Open plan kitchen with new cabinets and tiled countertops.Living room with stone fireplace. Patio doors open onto a balcony with country views. 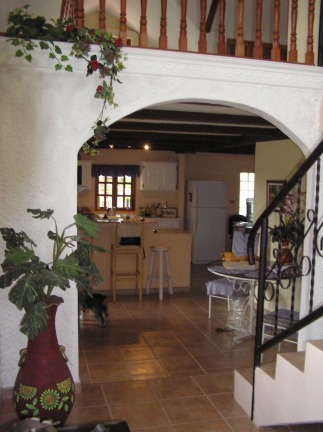 Spacious 33 foot x 28 foot Alpine style loft with en suite bathroom, shower. When you enter the main guest room your eyes catch sight of the large stone fireplace - yes you need a fire[place for those cooler rainy nights. 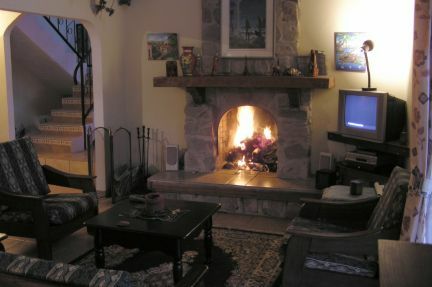 And sitting infront of the fireplace with a glass of wine in hand you can ask your hosts the ineveitable retirement questions. 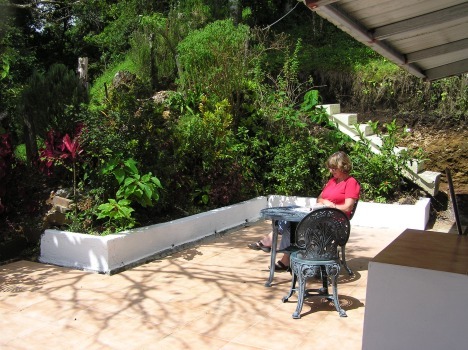 Again, Casa Volcan prides itself on being more than a guest house - it can be the first step to retiring in one of the best places in the world. Three smaller gardens surrounding the house.Lot at back of home extends 90 feet deep and 70 feet wide. For the adventurous our neighbour allows us to hike to the top of the hill and from there you can enjoy views of Panama's highest peak the 11,400 foot Baru Volcano and glancing to the right your view extends all the way down to the Pacific Ocean.Parking stall at front of house can accomodate up to 4 vehicles. Private office with special computer circuit & breakers.Hi-speed internet and phone line to house.Satellite television.Walking distance to supermarket, gas station and bakery. 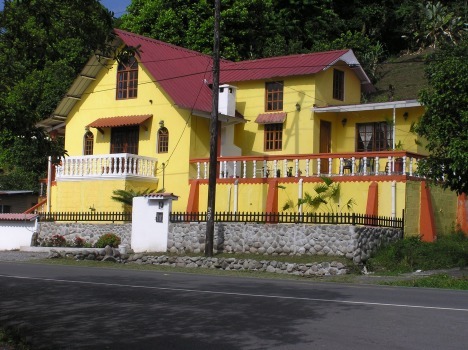 Just steps away from the front door is Volcan's highly popular Dalys Restaurant. Open from 7.00 am till late. A great place to enjoy the best and most affordable food in Volcan. View from top of lot showing view to the west and the great sunsets. Price per night: $45.00 + 7% tax.